Whether you are an HR director, HR manager, payroll professional, CFO, executive, supervisor, or hiring manager, you make important decisions every day. Be confident in your people decisions, explore our HCM interactive guides, and start enjoying the real business benefits of putting your people first. 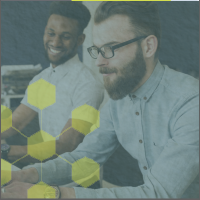 You need an HCM technology partner that shows you the whole picture—one that evolves with today’s workforce and provides powerful insight into your organization. UltiPro brings together people with the information and tools they need to make strategic, data-driven decisions that improve culture, retain top talent, and keep everything working in harmony. It’s Ultimate’s mission to help organizations put their own people first, and build the workforce and workplace culture they need to grow and meet their business goals. Discover how HR technology can bring together people with the information and tools they need to work smarter. Ultimate Software’s latest enhancements to award-winning UltiPro focus on connecting employees with the information and resources they need, delivering greater insight to HR and managers and improving the overall employee experience at work. Take a look at some of UltiPro’s latest enhancements from the last year. Ever wonder what the year ahead will bring for you and your people? At Ultimate, we are always looking at trends through the lens of putting people first. Our teams are dedicated to understanding how major factors will impact you and your employees in the coming year. 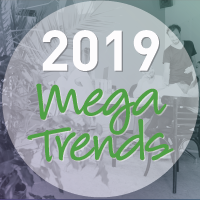 Learn more about the three HR mega trends here. You need an HCM solution designed with your people in mind—one that uses advanced technology to create positive experiences for all employees. UltiPro® is an award-winning HR, payroll, and talent management solution that puts your people first, always. Discover how different roles within your organization can leverage the solution throughout the employee lifecycle. Are you in tune with your employees' true emotions and feelings about the workplace? Are they satisfied? Or are they stressed? Test your emotional perception with Ultimate's Employee Engagement Blackjack Game and learn more about the solutions that can help you improve your company culture. Emotional intelligence (EI) has received a lot of acclaim as one of the key traits that organizations look for in great leaders. Are you an emotionally intelligent leader? Would you be? This brief quiz will take you through several common managerial challenges. See if you can choose the most emotionally intelligent response. Identifying your biggest business challenges is the first step toward overall success for your organization. The second step? Solving them. Ultimate Software’s UltiPro is a unified solution for HR, payroll, talent, and time management designed to help you tackle your toughest business challenges and uncover the workforce insight needed to make meaningful, people-focused decisions. Tax season is dreaded by nearly all HR and payroll professionals. Between time, compliance, accuracy, and money there is a lot to pay attention to, so it becomes very easy to miss an important detail or two. Save time and money by avoiding these four tax traps with smarter human resources and payroll technology in the cloud. UltiPro Launch is the first step in creating successful, long-term partnerships between Ultimate and its customers. 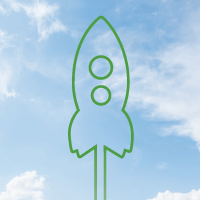 You have complete visibility and control throughout your go-live experience via a modern, easy-to navigate hub for managing your launch of UltiPro. 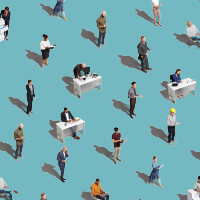 Employee engagement has become increasingly important and business leaders need to prioritize engagement initiatives, as they affect all areas of the business—most importantly, the bottom line. UltiPro Perception provides instant analysis into how employees truly feel, empowering leaders to use that insight to improve retention and drive organizational improvement. It’s simple: when employees are engaged, businesses succeed. All organizations face challenges—overcoming them requires the ability to not only identify what’s really happening, but also resolve any issues as quickly and efficiently as possible. Discover how Ultimate’s advanced HR technology solution, UltiPro, can help tackle your biggest HR challenges and transform the way you do business. Choosing the right benefits can be a challenging task—but it doesn’t have to be. UltiPro Benefits Prime takes the perplexity out of benefits shopping and provides employees with the right tools and information they need to make confident benefits selections, improving the employee experience and increasing overall productivity. In today’s workforce, it’s crucial for organizations to have access to tools that help them understand employees on a deeper level. With artificial intelligence (AI) technology, you can stay ahead of the competition. 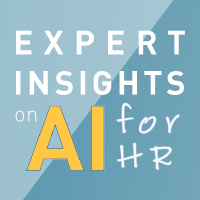 Learn from our industry experts about how AI is transforming HR. Keep your employees a top priority by investing in their future with effective training opportunities. UltiPro Learning helps you stay up-to-date with the latest in employee training technology and deliver engaging learning experiences to your workforce. Which Type of Virtual Employee Are You? Whether you work from home every day, some of the week, or even if you’re just thinking about making the switch, we all enjoy different work environments. We’ve found that most professionals who work remotely can fall into one of six categories. Are you a Solo Act, or more of a Hybrid remote employee? Take this short quiz to find out. Ultimate’s advanced "People First" artificial intelligence (AI) technology combines analytical intelligence with emotional intelligence to deliver instant, unbiased insight. With Xander, you’ll spend less time collecting and analyzing information, and more time focusing on what matters most - your people. Do you suspect that one of your valued team members is considering leaving your organization? Early identification of potential flight risks is key to retaining your top talent and keeping your culture intact. Use this Flight Risk Analyzer to determine the possible causes of an employee’s disengagement and what you can do to get them back on track. What’s the one thing that keeps you up at night? 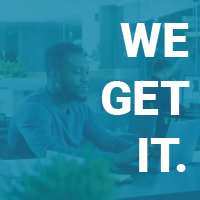 Whether it’s improving efficiencies, keeping your people happy, or any other aspect of successful human capital management, UltiPro has you covered. Jump right into this interactive video to learn how you can use UltiPro to help increase productivity, make more informed people decisions, and cultivate happier employees. UltiPro Perception is a powerful sentiment analysis tool that helps you to listen to the voice of your employees, understand how they truly feel, and act on their concerns—resulting in a stronger culture, higher retention, and better performance for your business. Discover how our natural language processing technology can help you. 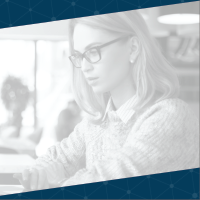 Learn how UltiPro delivers payroll software that’s designed to help shape the way your people are compensated, offering the flexibility and control to run payroll how you want and in a way that suits the needs of your organization. Business intelligence is an incomparable tool for getting the most from your staffing, planning, and budgeting decisions. Discover the 6 HR metrics your executives and managers should be tracking right now, and learn how to harness them for tangible benefits. Learn how Ultimate Software’s customers quickly achieved exceptional savings and improved their business with UltiPro. Ultimate’s HR, payroll and talent management solution is designed to increase business efficiencies and productivity, reduce manual tasks, and provide easy access to the data organizations need to make strategic decisions. UltiPro® delivers one master system of record to capture, consolidate, manage, and analyze global workforce information. Explore UltiPro’s wide range of reporting and business intelligence capabilities via this interactive guide. There simply aren’t enough hours in the day for an HR professional. Between the demands of your managers and the people you serve on a daily basis, where do you find the time to get it all done? Discover five new ways that technology can let you "hack" a few more moments of productivity out of each day. Research shows customer service often influences an organization’s long-term success and satisfaction with HR technology. From its unique collaborative support model to providing free software training for life, Ultimate Software offers customers the most extensive set of services available in the HCM industry today. When evaluating HR technology, it's common to focus on product functionality and features. 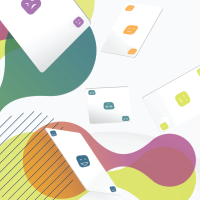 However, research shows, it's customer service not product functionality—that often has the greatest impact on an organization's long-term satisfaction and overall success with a provider. Watch a live online demo of UltiPro, and discover the power of one solution, one provider, one place for all things people.